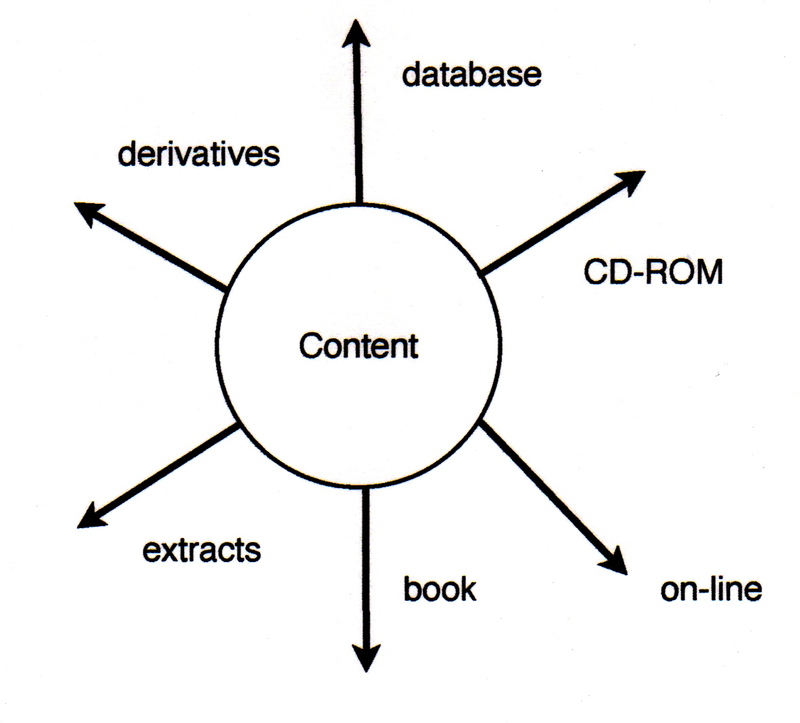 We (primarily, but not exclusively, in academic and reference publishing) are really engaged in creating an ever-growing archive of content divided into chunks each of which started off as a “book” in the mind of an author, but along the road became another entry into the ever growing “Publisher X Archive”. If we create it as such we will be able to exploit it in a variety of formats, one of which for the foreseeable future remains a printed book. This is all pretty commonplace now, but it did take more than exhortation to change the thinking of a lot of people, and not just the old lags. We can still find corners of our business which harbor the belief that what we are engaged in is producing books (printed of course) with other applications recognized as valid and valuable of course, but nevertheless seen as secondary. Anyone in academic publishing who still really thinks that this is what we are doing every day should probably be thinking about an alternative career. In general I do think that book publishing is making a better go of the digital transition than many other businesses. The music business made a fine job of the transfer from anaolg to digital (all those CDs) but came a bit unstuck on the on-line transition. Newspapers are struggling, and it was received wisdom that The New York Times was doing a better job than others. That may still be true — they do have a pretty good website, and have managed the paywall question successfully, but this recently leaked report, commented on by NPR’s On the Media shows that digital thinking is proving as hard to inculcate as it is in those corners of the book business alluded to above. The most telling problem is the adherence to the daily news cycle, with all content being readied for the evening, rather than for constant release during the day. Now I do know that content is released to the on-line paper during the day — so I guess this attitude of mind is not quite as universal as the radio story suggests. Listen to the On the Media story here. The Scribd version of the report, linked to above, omits a few pages. If you want the full report this link to Mashable will take you to it. These references were brought to me via SHARP. We have of course no guarantee that book publishers will continue to negotiate the transition so well (or so fortunately). The current price negotiations between Amazon and Hachette hint at more bits of our lunch being grabbed by our major supplier. This Let’s Get Visible post by contrarian indie author David Gaughran gives a good, if partisan, picture of the situation. What will be the outcome of this struggle? I can’t believe that we have any choice but to meet the threat head-on — i.e. to start selling on-line ourselves.